Does the phrase used in the title of this post suggest images of dictatorships restricting the rights of its people? Perhaps instead the decline of representative democracy in the face of big business and multinational corporations? On the contrary, it is the positive suggestion issued by a US congressman, though fortunately, concerning no one in his own constituency. 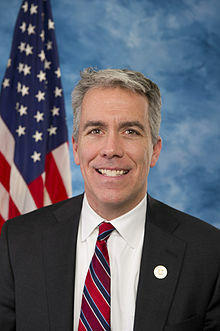 Joe Walsh is a Republican congressman from the 8th district of Illinois. On May 3 he penned an op-ed for the Washington Times, reprinted in the Jerusalem Post, advocating a one-state solution in Israel. The one-state solution is not a bad idea; I have cautiously advocated for it here. The basic premise is that Israel, the West Bank, and Gaza would be incorporated into one state. This would drop the contentious negotiating and intractable issues of the two-state solution, and the difficulties of creating an independent Palestine. Those Palestinians who wish to may leave their Fatah- and Hamas-created slums and move to the original Palestinian state: Jordan. Unfortunately, the will of sovereign Jordan does not enter into his analysis. But the rub of his Israeli preference bears ill fruit just a few words later, when he discusses those Palestinians who do not leave. Those Palestinians who remain behind in Israel will maintain limited voting power but will be awarded all the economic and civil rights of Israeli citizens. Let us admit that these economic and civil rights are substantial. Yet how is it possible that a proud inheritor of ‘all men are created equal’ and ‘out of many, one’ might limit the fundamental political rights of a whole class of people? As long as Israel maintains the Palestinians in their occupied territories, they have no claim to political rights in the Israeli system. Yet Walsh advocates the annexation of these territories, making Palestinians, at the very least, residents of Israel. For Walsh, this does not make them citizens. 1) Allow an independent Palestinian state and maintain a Jewish and democratic Israel. 2) Create one democratic state of all the territories, giving up a mandated Jewish nature. 3) Maintain the occupied territories and forfeit the democratic nature of a still Jewish state. Walsh has amended the third choice: Create one nation but limit democratic rights. Within the op-ed Walsh does not elaborate on his proposal. What sort of ‘limited voting power’ does he intend? Readers are invited to share if they have heard Walsh out and can demonstrate consistency with cherished American values. On current reading, however, Walsh appears to hold to the values of Manifest Destiny and the 3/5th Compromise. At one time, these were American indeed. May the people of the 8th district in Illinois judge if they remain so. It’s interesting studying what the true values of politicians are, and how these fit with what they claim to be humanitarian, or “American”, or “Muslim”, or “Israeli”. There is a lot of fear in the West of Sharia law. I get the sense that a lot of people in the West fear Sharia law to be non-humanitarian, undemocratic (whatever that is – Walsh’s ideas don’t sound democratic, but he’s an example of someone I mean to value a sub-class of inhabitants of a nation, yet claim that “all men are created equal”, because that’s what it says in the US Constitution), unfair, and unequal. I would find it very illuminating if you could write a post or two on what various Muslims mean when they call for Sharia law. Salafis usually mean the details – banning alcohol, cutting off hands of thieves – but vary in the timing and immediacy of implementation. Some emphasize also that mercy is a part of sharia – no cutting of hands until poverty is eradicated, for example. MB is less clear, but for some of them and many general Muslims, sharia means consistency with the principles of this law, and less the details as described above. I hope to have a post soon on the larger MB project, as outlined in one of their key leader’s speeches from several months ago. It is very enlightening, if not entirely clear on what sharia entails.